Web hosting is one of the essential parts of any self-hosted blog or website. And it is the one which cost maximum as well. Usually, when you will buy a new hosting, you will get much discount but that is not the case with renewals. You have to pay the full amount in case you are looking to renew your account. I was also facing this issue and figured out few methods to save money on hosting renewals. 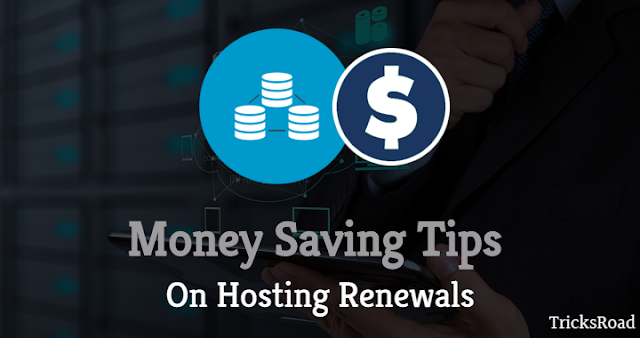 In this post, we will discuss on how to save money on hosting renewals. Currently, I am using Bluehost and Hostgator hosting for my niche websites and I bought it a very less price initially but when I renewed it, it cost me a lot. Usually, you won’t find any hosting renewal coupon code and so customer end of paying the full amount. The basic plan of BlueHost for WordPress hosting cost you $7.99 per month. This allows you to host 1 blog and the other resources are enough to handle one WordPress blog. If you are a new user, this BlueHost basic plan will just cost you $2.99 per month. And you will also get a free domain until the time you will be a Bluehost user. But the problem will come when you will go for renewal. While renewing your hosting, Bluehost will charge you the full amount and you won’t find any renewal coupon available. So, initially when you paid just $35.88 for one year, next year you will have to pay $95.88 which is $60 more. And believe me, $60 is not a small amount at all at least for the newbies! You should make a way which we will discuss below to save that $60 every year. After all, money saved is the money earned! Let’s start and see how to save money on hosting renewals. These methods are not just limited to WordPress hosting but for any hosting, you can save money. This is the very simple and most effective method to save money on hosting renewal. Whenever you are buying hosting, don’t just buy for only one year, go for at least two or three. By this way, you will have to pay the amount for all the years at the discounted price only. For example, you are going to buy the basic plan of Bluehost hosting for 3 years. It will cost you just 12*3*2.99=$107.64. This is a huge amount that can be utilized to grow your blog further. So, as and when possible, always try to but the hosting for a longer period to avoid spending more on hosting renewals. But sometimes you may be not sure whether the blog or website you are starting will sustain for longer or not or you are not sure of the hosting service. And for these reasons, people end of buying just for a year or even less. If you are also having the same reason, follow our next steps and save money on hosting renewals. This is a sure shot method to save money on hosting renewals. What you need to do here is, when your existing hosting will be about to expire, don’t renew it. Instead, migrate all your sites to some new hosting. Now when you will migrate to new hosting, you will be the new customer for them and you can get all the offers available for the new customers. The only issue with this method is, if your new web hosting company won’t provide the free site migration service then you will have to do it on your own. Although migrating a site from one host to another is very easy but is time-consuming. For this reason, prefer some good hosting company who provide free site migration so that you don’t have to be in such glitches. All the good hosting companies like Bluehost, HostGator, SiteGround, NameCheap, etc. provide free site migration service. They may lose some files etc. But nothing is going to happen from above. Everything will be like the earlier just your hosting company will be changed. So, it is completely safe to move to another hosting if you are not satisfied or want to save money on hosting renewal. Also, you must check the feedback from existing customers of the hosting before buying it. You can also check Bluehost Review, HostGator Review, and DreamHost Review for more details. It is 6 times easier to retain an existing customer compared to acquiring a new customer. Every company wants to retain their existing customer to grow their business and you can make use of it. Just connect with the customer support team of your hosting company and ask for the discount on the hosting renewal. There is a great chance that your company will give you a decent discount on the renewal which you can use to save money on hosting renewal. 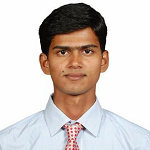 I am the customer of so and so plan of your hosting which is going to be expired on this date. I was planning to renew it but found I will have to pay the full amount which is more than my allowed budget. Also, I am getting a decent discount (mention discount and company name) from ABC company and I want to save money on hosting renewal. Please let me know if you can provide me any discount if I will decide to stay with you. This should give you a decent discount on your hosting renewal. But again there is no guarantee and it completely depends on the norms of the company. If this is not working with you, 2nd option is always there to save money on hosting renewal and will work for sure. These were some of the tips to save money on hosting renewal. You can save a good amount of money on web hosting renewals using these methods. Earlier I was on DreamHost and I wrote them for the discount while renewal and they gave me a good discount coupon and that’s the reason I used DreamHost for over 3 years. You can check how to start a WordPress Blog on DreamHost in 10 minutes. If you have ever used any other tricks to save money on web hosting renewal then please share with us. This may help others to save few bucks.